Wow!!! What a week here at Silver Lake. The water levels on the lake dropped about 2 feet this week as Southern California Edison slowed down the water flows coming through the dams at Rush Creek, the water temperature jumped from 54 degrees to hovering around 60 – 62 degrees, a few crazy rainstorms and we had a huge scare with a 400 plus acre fire burn for three days along Parker Bench that made things interesting and nerve racking this week. Oh and the fishing on Silver Lake and Rush Creek were spectacular this past week. Other than that it was a normal August week with lots of people up enjoying the beauty of the Eastern Sierra and the June Lake Loop. First, lets start with the Parker Bench fire, as we have to give thanks and praise to all the fire fighters on the ground and in the air that worked so hard to get the fire out before it caused any structure damage. The fire started from a lighting strike Tuesday evening around 7pm and by 8pm was out of control. Thanks to some great work and some amazing helicopter and fixed wing flying it was under control within about 36 hours. We can’t thank all the hard work and dedication that these fire crews gave to us here at Silver Lake and throughout the region as they put themselves in harms way to protect not only us but our beautiful June Lake Loop as well. We thank you for all you do!!! Like I mentioned, SCE slowed down the falls and the flows into Silver Lake this week as they have gotten a handle on the Winter Runoff and with that slow down the lake dropped a few good feet and warmed up immediately. It also allowed for some really great fishing down on Rush Creek as it opened up some new accessible pockets to fish with lower water. 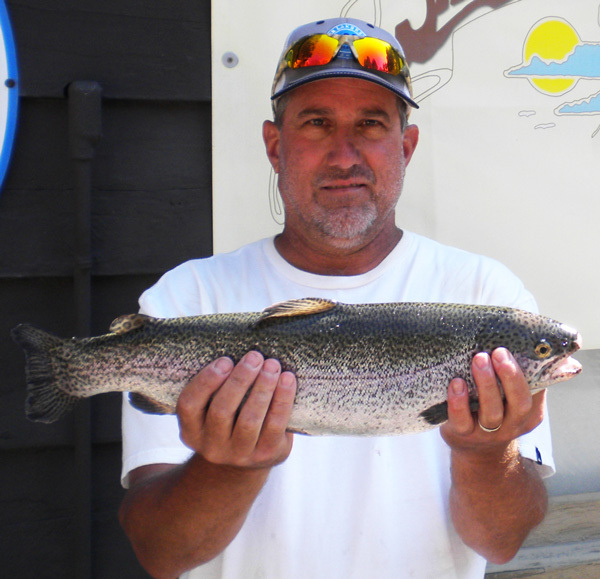 Rush Creek popped out some amazing Rainbows this past week as we counted well over 12 Rainbows that weighed in over three pounds out of Rush alone and a monster 6 pound 1 ounce caught using a Prince Nymph Fly. Most of the other Rainbows caught this week came in either on a Night Crawler or Berkley Pinch Crawlers. Great action on the creek and I expect that to continue as those water levels continue to drop. The lake fishing this week was a little sporadic with some really good action early in the week then took a day or two to resettle in after the water levels dropped well over two feet and the water temps increased by an easy five degrees in a matter of days. By the end of the week however, the fishing was back strong with lots of good looking stringers and some really nice size Rainbows. Bait Fishermen saw great action using Berkley Dough Baits, as usual, with some garlic, and Berkley Pinch Crawlers and Mice Tails stay strong as well. Troller’s had some great results pulling streamers like an Olive Matuka or Green Wooly Bugger and they are beginning to see better action deeper below the surface as that water heats up. Lots of fish and fishing to be had by all here at Silver Lake and through out the June Lake Loop and we are on schedule to get a nice 400 pound load of Desert Spring 3 to 5 pounders this coming week and a load of catchables from DFW this week as well. 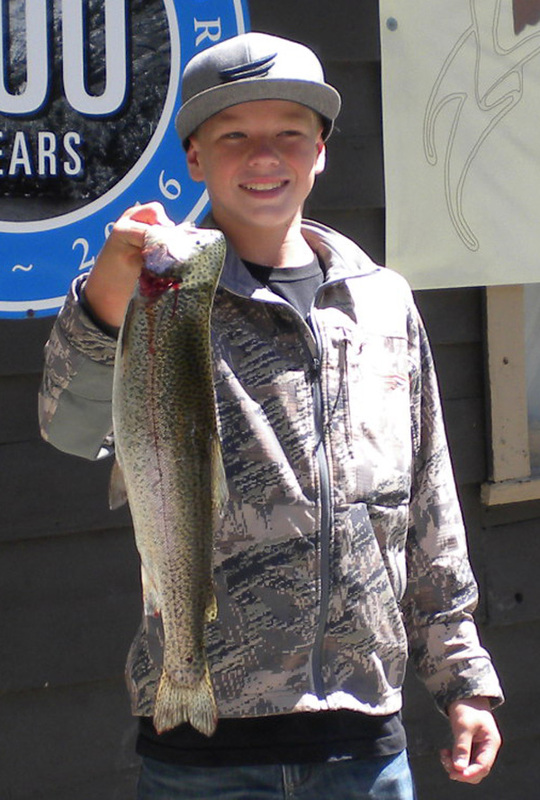 Mark your calendars as we just got word that thanks to Mono County and Desert Spring Fish Hatchery Silver Lake and Bridgeport Reservoir will both be receiving a whopping load of 4,000 Rainbows weighing between 1 to 3 pounds in the next few weeks. Yes, 4,000 pounds per lake!!!! 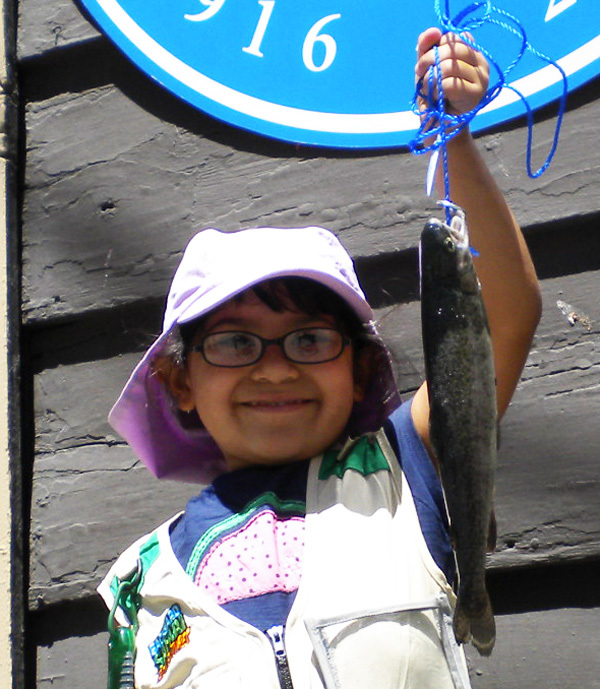 Make your plans now as summer is slowly starting to slip away from us and your chances for the weekend warrior fishing trips are getting shorter. Don’t wait to long!! !